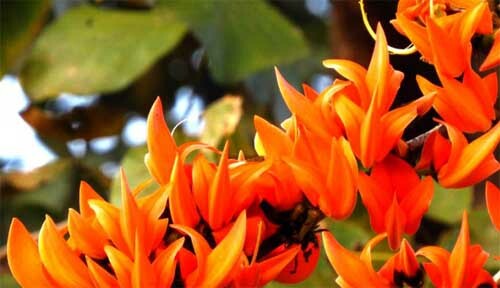 Tesu Flowers is also known as the flame of the forest and is the flower of the Palash tree. It is believed to possess medicinal properties and is also good for the skin. Fresh Tesu flowers are used to welcome guests and it is also used to sprinkle water on devotees during Holi. The flowers are soaked overnight in water and can also be boiled to obtain fragrant yellowish – orange coloured water. The dried flowers can be dried and powdered for an orange powder.